Loss of tooth tissue also known as dental attrition can usually start as an incisal or occlusal wear away of the tooth surfaces. This is commonly as normal part of aging due to common grinding throughout the years. 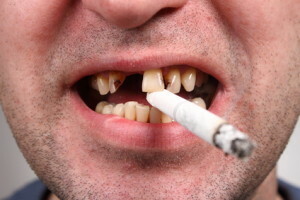 If tooth wear becomes excessive it can be defined as pathological in nature, if this is your case intervention by a dental professional is needed. 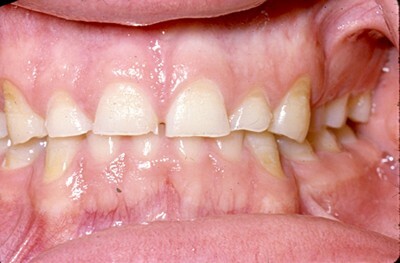 This pathological wear is usually caused by bruxism the clenching and grinding of teeth. 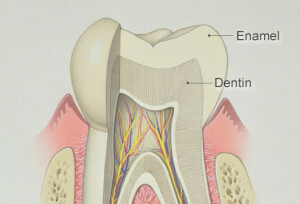 If attrition becomes severe and teeth are worn away leaving them with only underlying dentin they can be exposed to dental caries and/or dentin hypersensitivity. 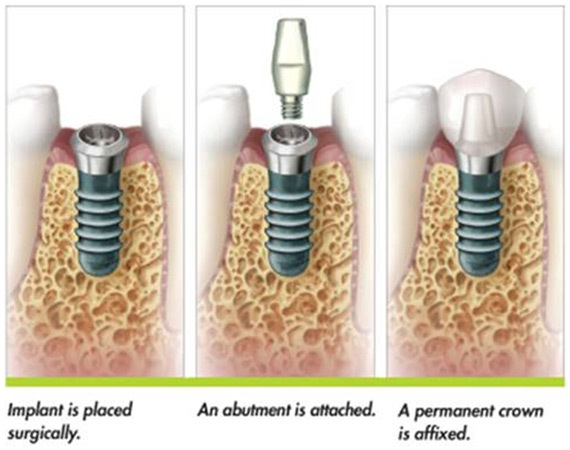 Some signs and symptoms for attrition are loss of tooth anatomy, sensitivity or pain. 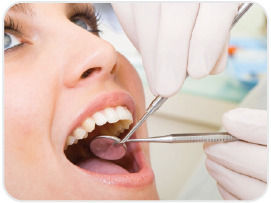 The loss of tooth anatomy includes loss of cusps and fractures on teeth. 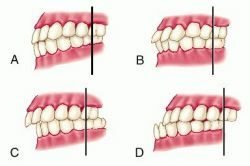 Also if rounding or sharpening of incisal edges occurs this is an apparent sign for attrition. Attrition can cause dentin hypersensitivity this is when pain and/or sensitivity occur. 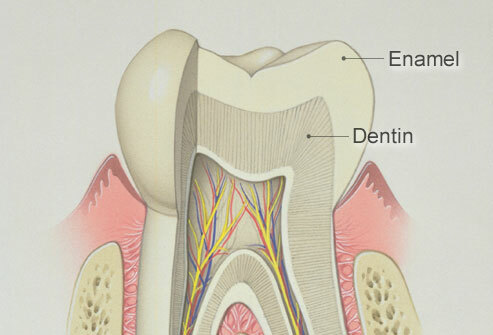 If attrition becomes severe secondary loss of enamel can occur and bring sensitivity as dentin is now exposed. Another sign you might see is tooth discoloration, teeth can have a yellow appearance or can become darker. 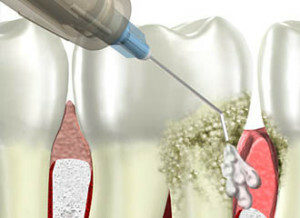 The enamel is the protection of your tooth when worn away by attrition your teeth are at higher risk to dental caries. 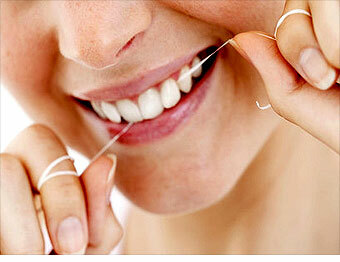 Several causes for this dental attrition are tooth grinding, such as bruxism. Also, inappropriate alignment of teeth can contribute to have teeth worn away such as malocclusion. Not only are these causes for attrition but also an absence of posterior teeth, or having a rough-textured diet. Having a good diet can help when preventing attrition as many foods which contain acids can help become attrition a greater problem. 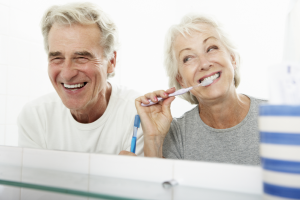 There are ways in which we can help prevent or manage attrition, several ways are: an orthodontic examination, a mouth guard/night guard, a particular diet, and an intraoral soft tissue analysis. It is important to know every patient is different for this you should contemplate on making a dental visit. This entry was posted in dentist, santa ana, smiles on bristol and tagged attrtion, dental attriton, dentist, santa ana on August 1, 2016 by Francisco Torres. This entry was posted in Uncategorized and tagged Flossing, santa ana, smiles on bristol dentistry on March 11, 2016 by Francisco Torres.